WhatsApp, the world's most popular instant messaging platform, has been slowly turning from a barebone chat app, into a more sophisticated endeavor that is almost (but not quite) on par with the best out there in terms of features. Just recently it added rich link previews, like on Facebook Messenger or Viber, and the ability to star messages to its Android app. These two features have been in the 2.12.367 version you could download from WhatsApp's own site for a while now, and finally got rolled into the official app update over at the Play Store last week. Now, there is another nugget that you can fold into your WhatsApp sessions, namely a bunch of new emojis, and we all know how important this collection will be for our freedom of expression going forward. Apart from nutritional staples like a hot dog, taco, burrito, popcorn or champagne, you will get a unicorn, shamrock, spider, medals and racing cars to broadcast your bubbling emotions. 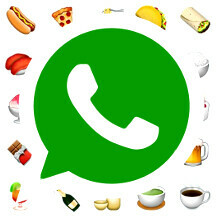 Not only that, but the emojis are now categorized in eight, instead of five different tabs, and there is a new detective face expression, so plenty to explore once you and your contacts install the newest WhatsApp. 4. Pick a contact, and blast them with your newfound emoji power! The decade older yahoo messenger had better features than what whatsapp got now. remember those gif backgrounds ? ability to play doodle with the other person ? BUZZ and much more. 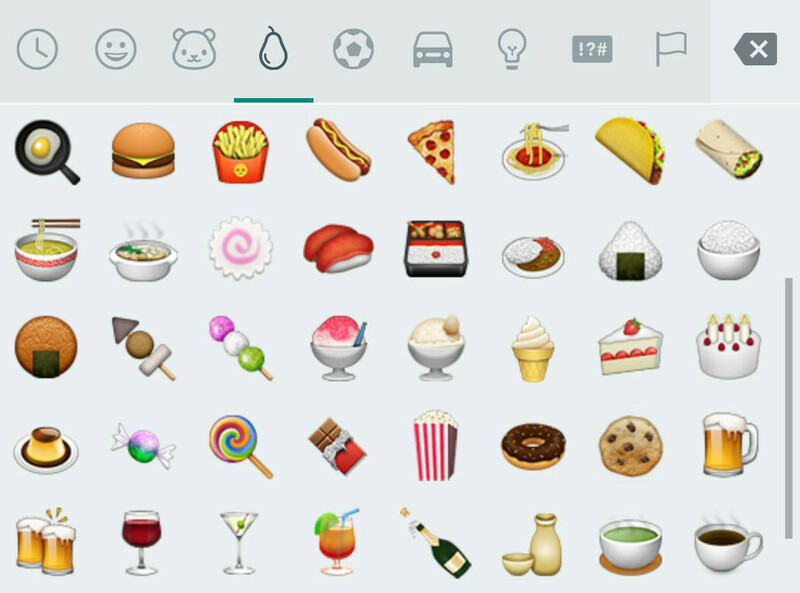 Problem is, the ones without the new version will not see the new emojis. So, can't blast them anyhow. Simply tell your other to update as well. Mostly annoingly, Whatsapp developers problably keep on using only the :-) emoji; otherwise they'd have waken up to the fact that, for 21st-century messaging apps (Facebook, Instagram, etc.) it is totally unnacceptable, pointless and counterproductive to offer such a huge emoji collection if it is not SEARCHABLE! Did you hear that WA devs? S-E-A-R-C-H-A-B-L-E!!! After all, you can't possibly expect people not to feel frustrated after looking for 3 looong minutes (and let's face it: in messeger program time, that's eons!) only to find nothing that actually conveys that feeling/emotion you were trying to express actually exists. Again, if it was, SEARCHABLE! !, just like most other modern (again,) 21-st century messaging programs, at least you wouldn't add up to that disappointment the time spent looking for nothing!